Arcflex have been the proud sole European distributor of the complete Foster/ZSI product range for the past 11 years.During this time we have gained the experience and product knowledge to help our customers select the correct product for their application – an important consideration when ensuring safety in the work place and keeping expensive down time to a minimum. Fosters unique drilling technology used in the manufacturing of their sockets offers 65% more ball retention than other Couplers currently on the market. 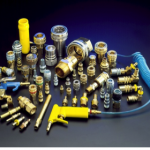 The result of this is that our Couplers regularly outlast the vast majority of other manufacturers’ products. This not only offers greater operating efficiency and safety, but also offers long term financial savings compared to some cheaper, inferior products. 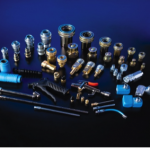 For the full range of components you can view the download PDF catalogue or visit Fosters website for part selection and technical information.